OUR GOAL is to serve 5,000 meals across Los Angeles – it takes a community to help the community, so join us in our mission. Together we can celebrate in unity. blessed with family and friends to make this holiday special. Our Thanksgiving Day Celebration brings the community together in response to many broken and hurting families. We serve at many different locations plus a team delivers to the homebound. Loneliness can be overwhelming, not only for those in physical need, but also for many people who are new to the city or far from family. 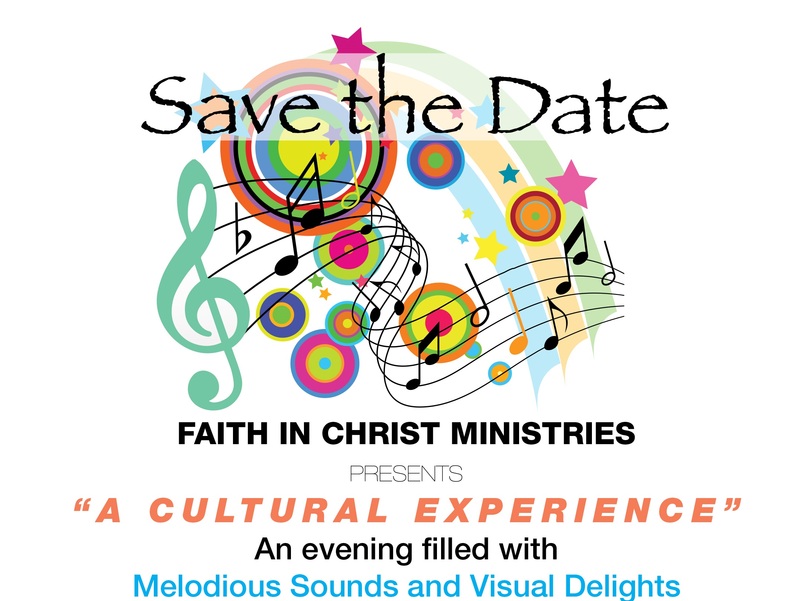 Let’s unite in spirit and at the FICM fellowship center for Thanksgiving! 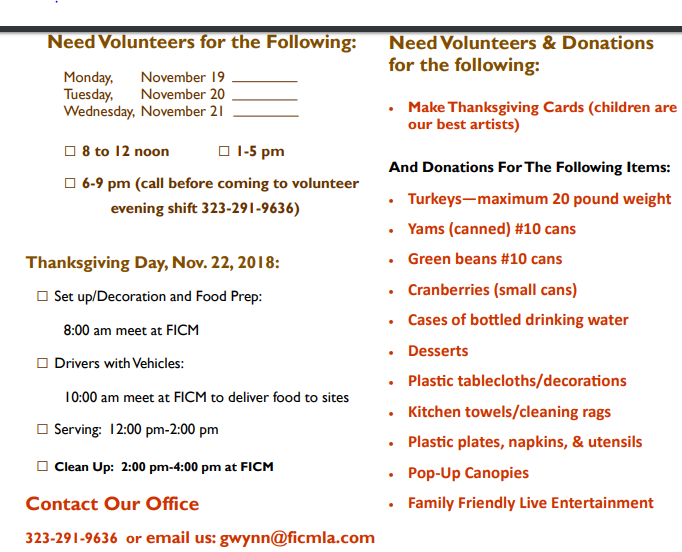 Volunteer or Donate On Our ThanksGiving Celebration Ministry Page, by clicking here. Also, See our Volunteer needs below. We need both volunteers and donations to meet our goal! Registration: $25.00 donation fee put towards our youth development and mentoring programs. Please bring registration sheet and donation to the event. Cleaning out your garage? Your storage unit? Have items you no longer need? Please consider donating them to our Donation Drive to help raise money for FICM programs. The Donation Drop-offs can be on Wednesday, April 26 or Saturday, May 5.